Sorry guys, I do not understand why in daily deals page on GB, the Ganzo G727M-W1 – COLORFUL/wood handle – is on flash sale for the faboulus price of 9,99$ (50% off), but when I click on it, it give me 12,99$ on my cart, so another price…???? At 9,99$ I will give it a try. Or maybe thay have forget to put the discount code on the image. I saw many other knives in offert; they all have a code. Usually the code is the item code, like S7010LUC-SA for that Sanrenu. There’s an existing code “G727M-W1” but the system said it’s expired. Also be happy that they don’t ask for $7 shipping to your country (which at least is holding me back from ordering too many knives). The Harnds Blazer is a big boy (pics here)! Has it the blazer a weak lock up even with the double lock as i ear?. 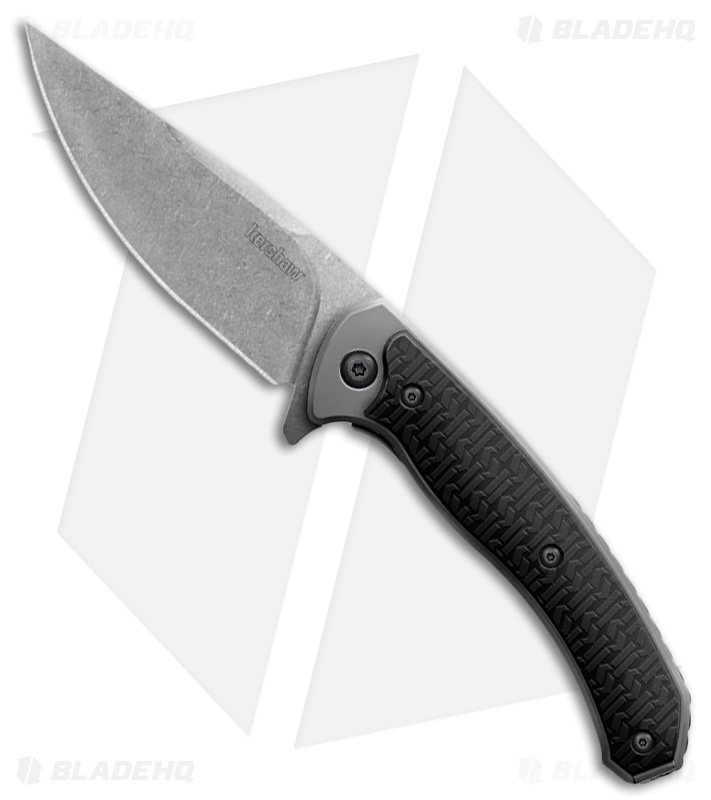 Has anybody ordered and received from Gearbest this Sanrenmu Land 910 version with SRM Chinese Logo on blade, three small clip holes, silver thumbstuds, plain lanyard hole, and longer hollow grind? It looks like the older Mingren version but Gearbest does not include the photos of the other side of the blade (intentionally?). I haven`t heard about that. Mine has a solid lock-up. The liners / liner-lock are quite thick + there`s the “LAWKS” safety feature. For use it is 910 because it slides less in hand. 96 grams and perfect balence, loving it and carry it nearly every day. I heard about it has a weak lock up even with the lawks on. But i do not have one for testing that.Thanks. Same for me. The 910+ for demanding cutting tasks and the 9103/9104 for casual EDC. Still too lazy to get another filehost, maybe with the hotlink fix photobucket will work for you. Maybe I’ll thin the flat grind someday, otherwise it’s good as it is right now. 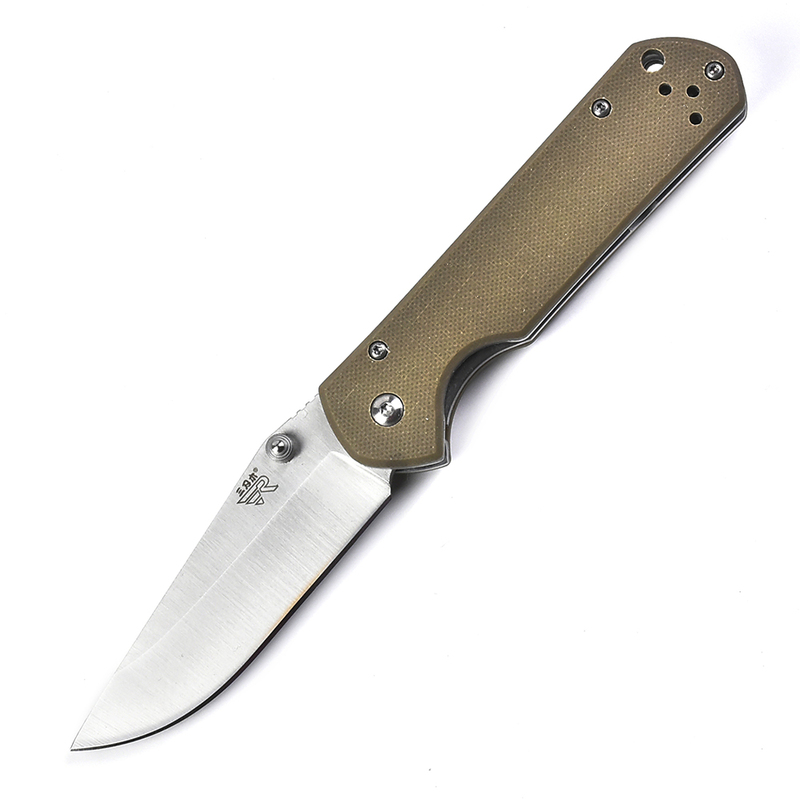 I was also thinking about making minimal scales for a 910+, maybe like on the Diskin flipper. I haven’t ordered any knives from china lately, does anyone have any input or advise on this? After shipping cost Fasttech regular price ends up better than Gearbest flash sale, plus faster dispatch and shipping time with Fasttech. Yes, Gearbest shipping prices for knives went expensive the past year and in many instances, Fasttech will have a better price. If you are not in a rush, you can also wait until Fasttech has a sale, they have many during the year, usually 10 or 15% off the whole website. I’m expecting the next one to be mid February for Chinese New Year. Well I have to say I am impressed. My Ganzo G729-GR arrived the other day and for the $15 shipped I was not expecting this good of a knife. Time will tell how well it holds up but overall I am more than happy with it. I have 2 ZT’s, my wife has a Spyderco and I wanted to try a slicer so I figured I would give it a shot. I am so glad I did that I bought 3 more for my son in-laws. I wasn’t about to spend $150+ each to get them ZT’s or Spydercos but after receiving one I didn’t hesitate to grab them. Seeing as I already have to much invested in knives ( have a lot of fixed blades also) I think I have found my source for trying out new blade styles and I won’t be heart broken if I destroy one. If you have been looking at these then don’t hesitate. It came sharp, centered, and operates smoothly. I like my exotic steels but for an every day carry you can’t beat it. Well I have to say I am impressed. My Ganzo G729-GR arrived the other day and for the $15 shipped I was not expecting this good of a knife. Time will tell how well it holds up but overall I am more than happy with it. I have 2 ZT’s, my wife has a Spyderco and I wanted to try a slicer so I figured I would give it a shot. I am so glad I did that I bought 3 more for my son in-laws. I wasn’t about to spend $150+ each to get them ZT’s or Spydercos but after receiving one I didn’t hesitate to grab them. Seeing as I already have to much invested in knives ( have a lot of fixed blades also) I think I have found my source for trying out new blade styles and I won’t be heart broken if I destroy one. If you have been looking at these then don’t hesitate. It came sharp, centered, and operates smoothly. I like my exotic steels but for an every day carry you can’t beat it. Thanks I’m glad to hear these are the same quality as my other Ganzos. 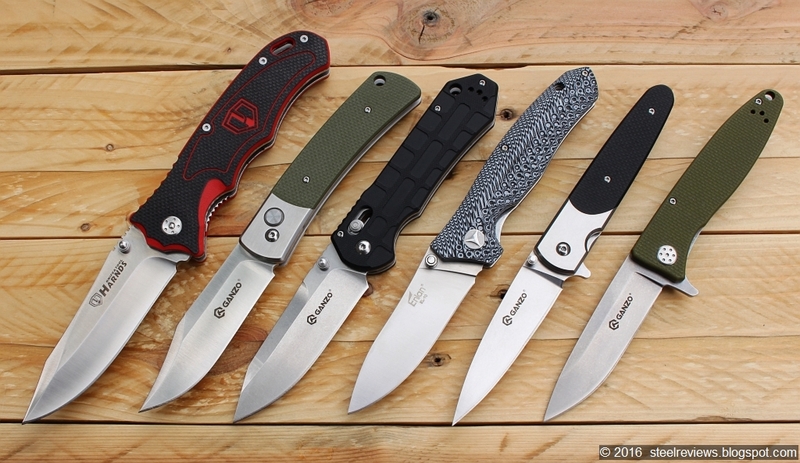 I’ve been considering the G7291-BK, (black one with CNC machined grooves in the G10 – second from left in the photo) I have several Spyderco PM 2 clones with compression lock that I love, but the AXIS lock is what really draws me in to these. I use the Spyder Drop opening method. I do love my G727M (Ontario RAT style) Never thought I’d see a G10 RAT with AXIS lock! As you said about the G729 it’s sharp and perfectly centered, plus super solid lock up with zero blade play. I also have a G719 auto, also absolutely zero blade play, a true work of art that one is. 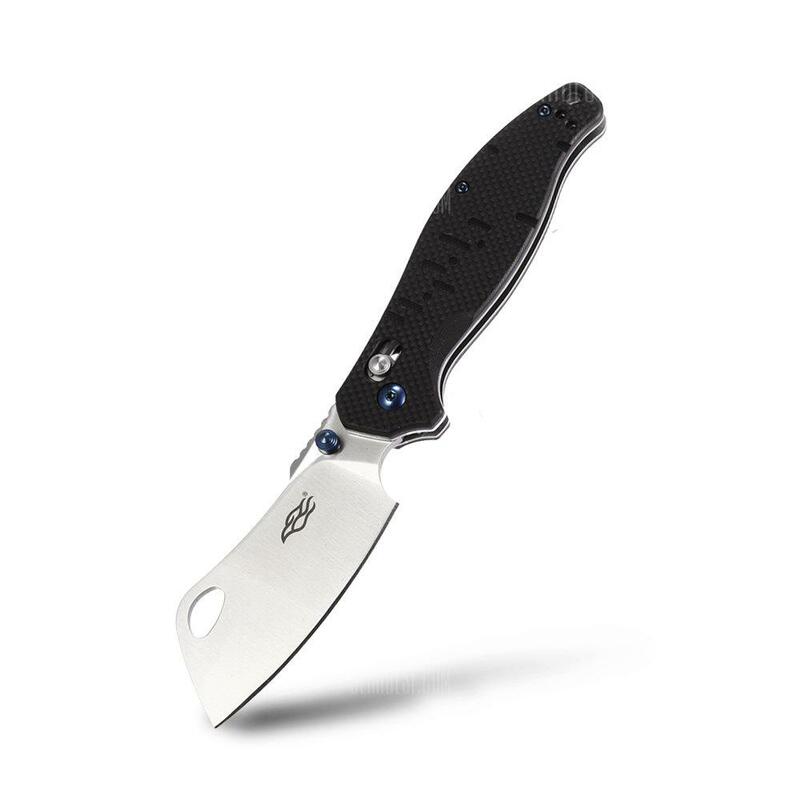 How’s the blade grind on the Ganzo compared to your Spyderco? MY impression is that the more expensive the knives become the finer and thinner are the blade grinds which I prefer. Sadly my G7533-CF was a lemon, the blade is dulling pretty fast, worse than any other Ganzo I tried. timo5150, does your G729 have full steel liners or skeletonized ? Also if you don’t mind saying where did you purchase it from? $15 delivered is a great price! Yes it has full steel liners and I got it from Gearbest. They had a flash sale a week or two ago when I bought the ones for my son in-laws but I think I paid like 17 when I bought mine.